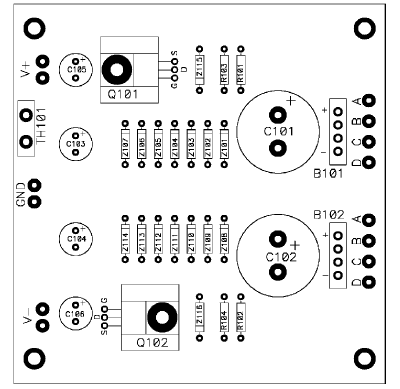 The popularity of the Zen projects points out the interest in very simple linear circuits. They are intended to fuel that interest. The Zen, Bride of Zen, and Son of Zen have been explorations in how much objective and subjective performance can be achieved with a single gain stage. 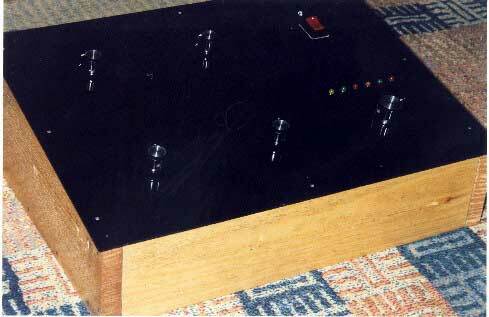 This extreme simplicity has an aesthetic appeal, which speaks to the purist in audiophiles, and the presumption that simple circuits sound better. At least one "objectivist" has complained (objected?) 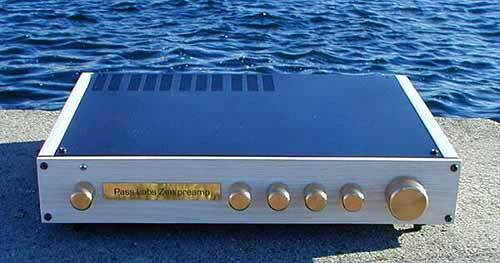 that the Zen projects do not measure up compared with more sophisticated and complex amplifiers. This is mostly true, but beside the point. The literature and store shelves are full of multi-stage amplifier circuits using generous amounts of negative feedback. 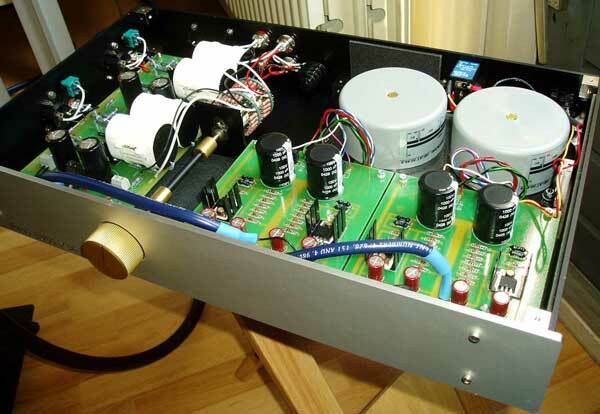 These are single stage amplifiers. 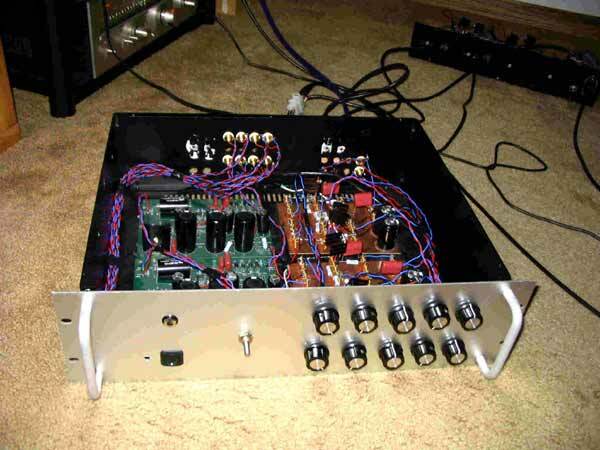 Getting good performance from a single gain stage is a fine technical challenge, and I would say a proper beginning for those who would go on to design and build more complex circuits. Simple circuits have particular value as DIY projects. They are more understandable, they are more likely to be attempted, and they are more likely to work. So is this the anticipated Bride of the Son of Zen? I suppose it is. It has an identical topology and is perfectly suited for driving the Son of Zen, but there is much utility to this circuit. It also serves as a nice balancedin to unbalanced-out or unbalanced-in to balanced-out converter. Like the Bride of Zen and the Son of Zen projects, this circuit performs linear amplification without negative feedback. A lot has been written pro and con about the use of negative feedback, and I don't propose to bring the debate into this article. It just so happens that we will be getting quite good performance without it. Let's review why balanced operation is desirable. Audio circuits operate in an environment of electrical noise; crosstalk from other channels, ground loops, magnetic pickup from transformers, power supply ripple and other noises. In a balanced circuit, two opposite phases of the signal are present on two otherwise identical input lines. The input of a balanced circuit has a plus and minus polarity, and the output of the circuit also has a plus and minus. The balanced amplifying circuit will amplify the difference between the two inputs and will display a larger difference signal at the output. What the circuit doesn't do is as important as what it does; it does not amplify any portion of the signal which is the same at both inputs. Ideally it completely rejects the common input signal, and the quality of this rejection is referred to as the Common Mode Rejection Ratio (CMRR), which tells how much of the common input signal gets through. Figure 1 shows the circuit for one channel. Q1 and Q2 are the active elements of the gain stage. They are mutually coupled through R15, and the current through them is controlled by the differences in their Gate voltages. The Gates are nominally at ground through R13 and R14, and the transistors are biased through resistors R3, R4, R5, and R6 connected to a negative voltage supply. Balanced output signals appear on the Drain pins of Q1 and Q2, loaded by R1 and R2 connected to the positive supply. At the output Drains of Q1 and Q2 we will see a DC potential of approximately one-half of the positive supply, and the two voltages will vary in opposite phase. The maximum peak-to-peak voltage at each Drain is the value of the positive supply, and twice that amount when considered as a balanced output. As a practical matter these two paraphase outputs are passed to the outside world through capacitors which block the DC voltage. The circuit amplifies a differential input to a differential output. 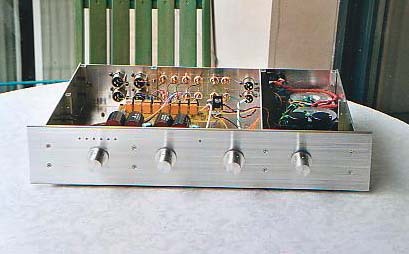 Given a single input, it will amplify it into a balanced differential output, and is useful to convert unbalanced signal to balanced, either because you wish balanced operation or because you wish to convert a conventional stereo amplifier into mono bridged operation. Of course the circuit is happy accepting a balanced input, and besides using it as simply a balanced gain stage, you can choose to view either output polarity as a single-ended output of each phase. Thus the circuit also functions as a general balanced and unbalanced converter. Being that the noise picked up from the environment is usually common to both input lines, it is rejected at the input of the balanced circuit, and thus is much less of a problem. 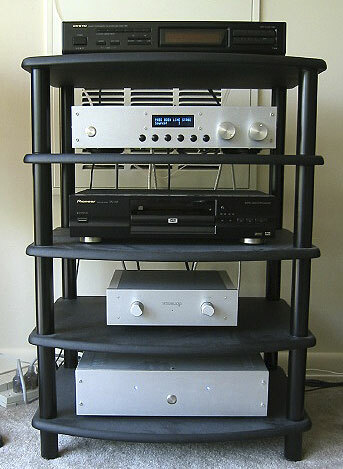 Actual home audio systems using balanced interconnects typically have about 1/10 the background noise and hum. Another reason to use balanced preamplifying gain stages is that many high end DAC designs offer balanced outputs in which separate DAC circuits are used for each of the two phases of output. Using separate balanced DAC circuits reduces the random noise by 3 dB, the same as if they were in parallel, and reduces common noise by a larger figure. There is also the potential for reduction of distortion with such an approach, but to realize the full performance of these circuits, the gain stage following must have a balanced input. This balanced line stage is the classic "differential pair" topology with two identical gain devices connected to develop voltage gain from a differential voltage input. The gain devices (tube/bipolar/fet) couple to each other through their Cathode/Source/Emitter pins. The voltage input is presented to the Grid/Gate/Base pins, varying the current through the devices, and showing up as balanced output voltages on the Plate/Drain/Collector pins. By the way, unfortunately the designation of Source pin for a MOSFET is often confused with the use of the word "source" which occurs frequently in reference to audio. For clarity here, I will always capitalize the "S" when referring to the pin. Referencing Figure 1, we note the function of various components. Resistors R7, R8, R9, and R10 serve to slightly isolate the inputs and outputs from the transistor pins, preventing parasitic and other types of oscillation. The values for these resistors can range from 100 to 475 ohms, and 221 ohms is about the best value. Resistors R13 and R14 serve to provide a reference to ground for the input pins in case there is no source or in case the source is AC coupled. This keeps the Gate voltages near ground so that the amplifier biases with the proper DC voltages and currents. Similarly, R11 and R12 serve to bleed off the DC voltage which initially appears at the output through the blocking capacitors C1 and C2. R16, R17 and C3, C4 are used to passively filter the supply voltages. The supplies will be regulated, but the filter will remove stray and residual noise at the output of the regulators. The circuit itself will reject supply noise through balanced operation, but this does not help when using a single phase of the output. Passive supply filtering improves both balanced and non-balanced operation. Resistors R1 through R6 are all 750 ohm metal film power resistors rated at three watts each. All the other resistors in this project are ¼ watt metal film types. R1 and R2 serve as the loads for the transistors, and R3, R4, R5 and R6 are used to bias the circuit with a current source from the negative power supply. The reason I used two 750 ohm 3 watt resistors in series was to get a 1500 ohm 6 watt resistor with the same part as used for R1 and R2. The gain of the circuit is the ratio of the impedances of the output circuit divided by the impedances of the circuit that couples Q1 and Q2. The summed impedance of the output circuit is essentially R1 plus R2, and is 1500 ohms. The impedance of the coupling circuit is 124 ohms summed with the approximately 12 ohm apparent source resistance of each of the MOSFETs, or about 150 ohms. The gain of 10 (20 dB) reflects the 1500 ohms divided by the 150 ohms. You can adjust the gain of the circuit arbitrarily by adjusting the value of R15 without affecting the quiescent DC values of the circuit. As you decrease the value of R15 to 0 ohms, the gain will approach 50 (34 dB). As you increase the value of R15, the gain decreases, with 430 ohms giving 10 dB of gain. 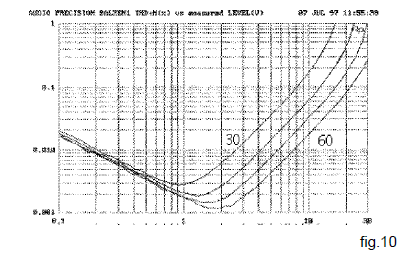 Some of the performance curves presented later will reflect both 10 and 20 dB gain settings. Figure 2 shows the power supply for the circuit. 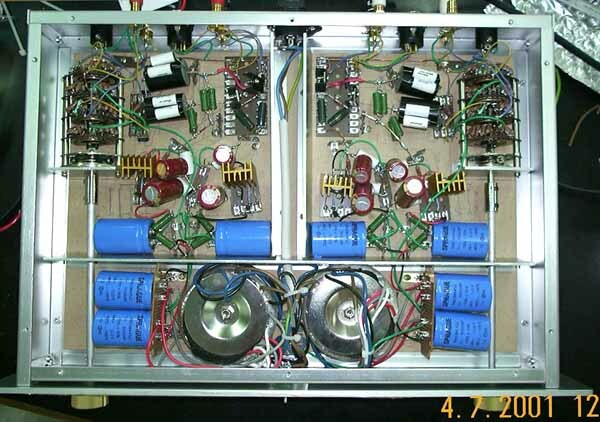 Because the voltages required by this project are higher than delivered by off-the-shelf transformers, I have chosen to use two transformers T101 and T102 with secondary circuits in series, one for the positive and one for the negative supply. The primary circuits are connected in parallel, in this case showing 120 VAC operation. 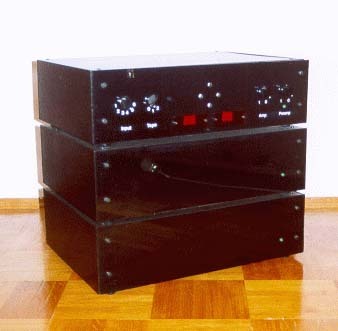 The regulated supply voltages at the outputs of this power supply will be at 60 volts each, and to give us an adequate margin from the unregulated supply, I have chosen Avel- Lindberg transformers model D4007, rated at 30 + 30 volts AC on their secondaries and 30 watts each. The AC secondary voltages are rectified through B101 and B102 to produce an unregulated plus and minus 80 volts DC. The circuit is protected by a 1 amp slow blow fuse, and a high voltage (AC line rated) filter capacitor C107 is placed across the line to reduce noise. Earth ground from the AC cord is attached to the chassis for safety, and is connected to the circuit ground through a power thermistor (bright idea from Frank DeLuca). This gives some resistive isolation for prevention of ground loops but goes to small values of resistance in case of catastrophic connection to the live AC line. 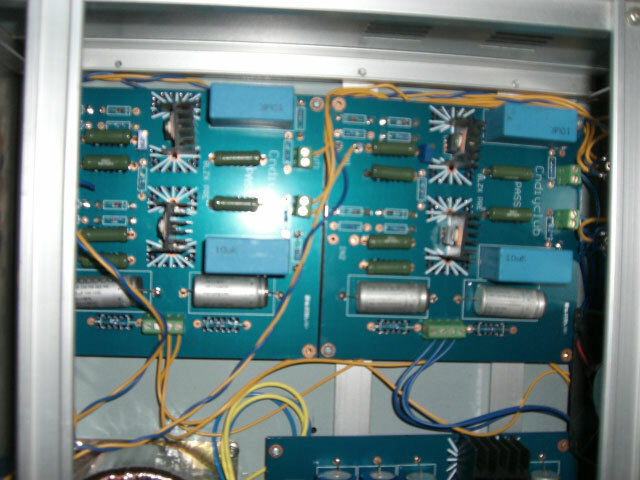 The unregulated 80 volt rails are cleaned up by pass transistors Q101 and Q102 acting as voltage followers from stacks of Zener diode voltage references. The Zener diode stacks are 7 X 9.1 volts, or about 63.7 volts, fed a trickle of current by R101 and R102. Allowing for the approximately 3.7 volt loss from MOSFET Gate to Source pins, the output of Q101 and Q102 are 60 volts DC. Capacitors C103 and C104 across the Zener stacks reduce the noise, as do capacitors C105 and C106 at the output of the supply. Zener diodes Z115 and Z116 are used to protect the Gates of the MOSFETs from exceeding the 20 volt limits imposed on the Gate-to- Source rating of the MOSFETs. 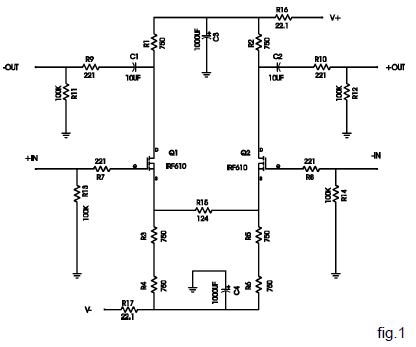 As elsewhere, the Gates of the MOSFETs are isolated through resistors R103 and R104 to prevent parasitic oscillation. packages, and substitutes should have a 100 volt rating. The IRF610 is rated at 200 volts, 20 watts, and 10 amps. An excellent substitute is the IRF510. Devices of higher current or wattage rating are not preferred, as the capacitance of the device is increased correspondingly, and results in degraded performance at high frequency, although I have been able to get acceptable performance out of 150 watt devices with 10 times the capacitance. It is not essential to match the MOSFETs used in this project, but it doesn't hurt either. I have tested the circuit with matched and random parts with insignificant performance differences. There are other circuits that take advantage of matching, but because of the separate bias sources for each device and the high value of resistance between the Source pins of the two devices, this circuit is indifferent to matching. 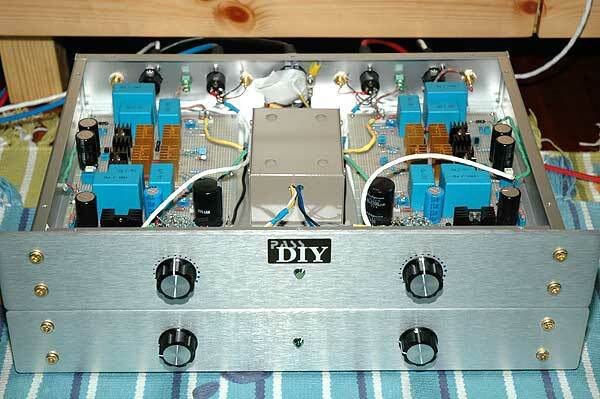 The exception is the case where R15 has a small value for the purpose of very high gain. Under this circumstance, matching will improve performance, and I recommend Vgs matching to within .1 V or better. For the procedure on matching devices, see one of the previous MOSFET project articles either in the pages of AE or on the Pass Labs website. Figures 4 and 5 show the PC board layout for both the channels and the power supply. Figure 4 is laid out to give two balanced channels. Note that the artwork is seen from the copper clad side, not the component view. Note that on Figure 4 the references R1, etc. are identical for each channel. For two channels you will want two R1's and so on. Figures 6 and 7 show the stuffing diagrams for these two boards. This view is from the component side, which is the mirror image of the PC artwork. For those of you wanting to have a production house make boards for you, the website www.passlabs.com has the zipped Gerber files for these boards available for downloading. Keep in mind that this is a simple enough circuit to be wired up point-to-point, and if you have difficulty obtaining the circuit boards, I encourage you to use this approach. This is in fact what I did with the first version of the circuit, and it worked perfectly. Heat sinks are provided for each power MOSFET, as they tend to run hot otherwise. On the board layout you will see that they are fairly small, and are designed to lay down on the board with a #4 or #6 screw and nut securing the transistor and heat sink to the board. Note that the metal portion of the TO-220 case is attached to the Drain pin of the MOSFET, and so both the case and the heat sink are electrically live. A word to the wise is always appropriate when discussing the use of MOSFETs: they are sensitive to static discharge. Gate-to-Source voltages in excess of 20 volts have the potential to damage or destroy these parts. Take some care to avoid unnecessary handling, and avoid static electricity while handling. A modest amount of care in this regard is generally adequate, and when the MOSFETs are installed in the circuit, they are pretty safe if you are using the Zener input protection diodes. connected to the chassis or earth ground through the power thermistor TH101. Do not neglect this connection. It is very important that the chassis be earth grounded and that the circuit ground be attached also to earth ground, either through or without the thermistor. 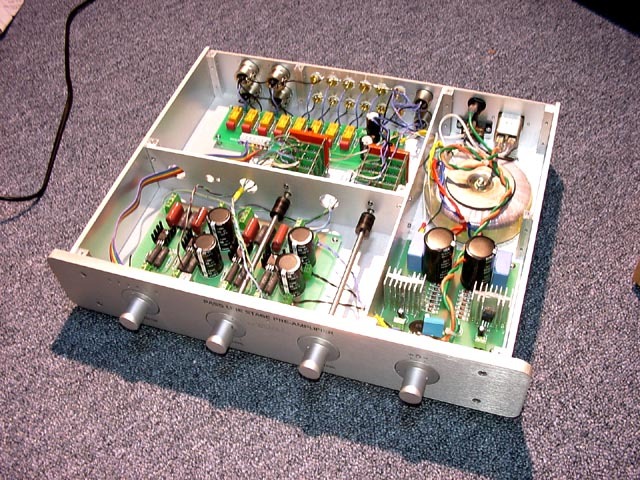 Note that the earth side of the thermistor connects to the chassis through the mounting pads of the power supply board. It will be important to use metal standoffs here and check the connection with an ohmmeter or otherwise hardwire the connection of thermistor to chassis ground. C107 is an interference filter capacitor across the AC line. It is optional, but if you decide to use such a capacitor, make certain that it is safety rated for the AC line. Also be certain to wire it in carefully, avoiding potential for short circuit to chassis or other components. The primary windings of the transformers shown in Figure 2 are for 120 volt operation. Blue = 115A, Grey = 0A, Violet = 115B, and Brown = 0B. In this case we see that two sets of four wires each will be attached to the AC power, so that both primary windings of each of the two transformers see 120 volts AC. This is accomplished by tying two each Blue and Violet primary wires together (Blue + Blue + Violet + Violet) at the Hot side of the AC line. The cold side of the AC line is attached to the Grey and Brown primary leads of each transformer in a similar manner. For 240 volt operation, the Grey and Violet leads are tied together, not attached elsewhere, on each transformer, so that the two primary windings are in series. The Blue leads of the transformers then go to the hot AC line, and the Browns go to the cold. Don't leave the Grey/Violet leads sitting bare if you do this. Keep in mind that not only the primary AC line side of the power supply has potentially lethal voltages, but the secondary system is high voltage as well. Use extreme caution; there are few enough Do-it-yourselfers as it is. If you don't feel competent to handle this end of it, get some help. Most technicians have low resistance to a smile and/or a six pack of beer. Firing up the circuit for the first time is no big deal. Preferably you use a Variac ™ to raise the line voltage a little at a time to check for excess current draw or smoking components. If you don't have a Variac ™ you will simply plug it in and stand back. It is possible to test the power supply board without the main board. Simply load the V+ with 15 Kohms ¼ watt to ground and the V- with 15 Kohms to ground and look for the 80 volt values on the plus and minus rails and the 60 volt values on the plus and minus regulated rails. The Drain (case) of Q101 should be +80 volts DC or so. The Drain of Q102 should be approximately -80 volts. The output of the supply V+ and V- should be plus and minus 60 volts DC. 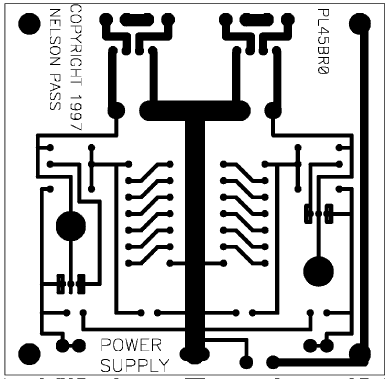 This can be seen on the Source pins of Q101 and Q102, or on the output voltage pads. Figure 8 shows the distortion waveform of the circuit at 1 KHz at 1 volt output. Note the second harmonic character of the distortion waveform. This is generally regarded as the most desirable of the harmonics, that is to say, if you have to have distortion, second harmonic is the least objectionable. Those well versed in circuit design might immediately comment that we expect to see third and other odd ordered distortion components in the distortion, given the symmetric nature of the balanced circuit. Odd ordered harmonics begin to dominate at higher levels of output, but at a couple of volts and below, we see even harmonics due to the subtle mismatching of the semiconductors. Figure 9 shows the THD (Total Harmonic Distortion) & Noise performance of the circuit for output voltages from 100 mV to about 30 volts. This circuit has an R15 value of 124 ohms. Four curves are shown, reflecting the performance for 30, 40, 50 and 60 volt rails, and as you can see, performance is enhanced by the higher rail voltages and bias currents. Unless otherwise indicated, results reflect the 60 volt rails. will be about 166 KHz into 1000 pF. Lower values of output impedance can be obtained by loading the output to ground, but at the expense of voltage swing. For example without P3 and P4, loading the output with 1000 ohms will drop the output swing by half, but will double the high frequency roll-off point. As there is plenty of output swing, we can safely throw some away if a higher rolloff frequency is required. This particular circuit, like the Bride of Zen, will not distort into low impedance loads; the gain simply goes down. As a result, you can safely drive 600 ohm balanced loads, getting the same performance as with a comparable input voltage, but at a lower output level. This is because the distortion figure is a function of variation in current through the MOSFETs, which is independent of the load impedance. One of the figures of merit for balanced circuits is called the Common Mode Rejection Ratio (CMRR). As previously mentioned, one of the benefits of balanced circuitry is that it amplifies input differences while ignoring or rejecting common signal (noise). The CMRR of this circuit is slightly greater than 80 dB, as illustrated in Figure 13, which shows the performance from 20 Hz to 20 KHz. This is a factor of about 10,000 to 1, so that a 1 volt common input comes out as about .0001 volt when measured differentially at the output.. This figure was achieved with unmatched gain devices, but careful matching does not significantly improve the performance. voltages, I have documented the distortion curves for voltages of 30, 40, 50, and 60 volts on each rail. At 60 volt regulated rails, each channel draws 80 mA of bias current (40 mA passing through each MOSFET in the gain circuit). 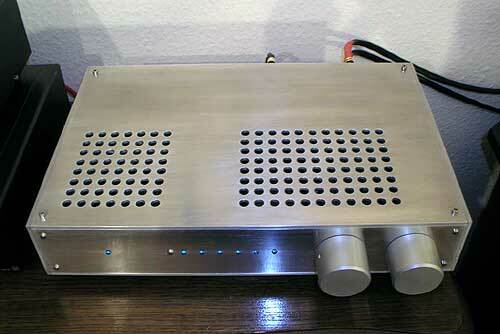 This is about 10 watts per channel. You can power two channels off this supply, or you can choose to give each channel its own power supply. The current drawn by the gain stages is roughly proportional to the supply voltages, so that the circuit draws about half the current with 30 volt rails. Figure 1 shows a perfectly workable version of the gain stage, but I can't resist tarting it up a bit with some protection and gain controls. Figure 2 shows the circuit with these added. Zener diodes Z1, Z2, Z3 and Z4 form input protection networks which prevent input voltages in excess of 9 volts or so. Higher values can be used, with 16 volt Zener diodes being the practical limit. It is not essential that the input protection diodes be used, but without them greater care will be necessary in connecting signal sources. There are four potentiometers also shown if Figure 3. P1 and P2 can be used to attenuate the input signal. Because the balanced input characteristic is perfectly preserved if P1 and P2 are set at the same value, they perform best as precision ganged controls, but this is not essential otherwise. P1 and P2 can be used to protect the input from higher voltage signal sources, or they can be used as volume controls. 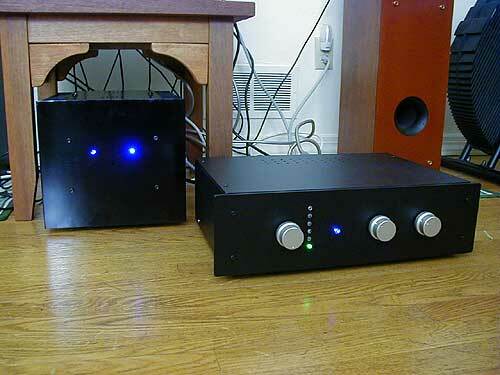 P3 and P4 perform attenuation at the output, and can also be used either as a volume control or simple gain adjustment. P3 and P4 attenuate the output noise of the circuit as well. P5 allows intrinsic adjustment of the circuit gain without having to match the potentiometer values, and as shown with a 500 ohm potentiometer, allows adjustment from about 10 to 20 dB gain. The use of any of these potentiometers is optional and independent of each other. The value of the potentiometer is flexible with the value given as optimal for typical use. Ideally P1 and P2 are the same value, and P3 and P4 are the same value in order to preserve the CMRR figure. 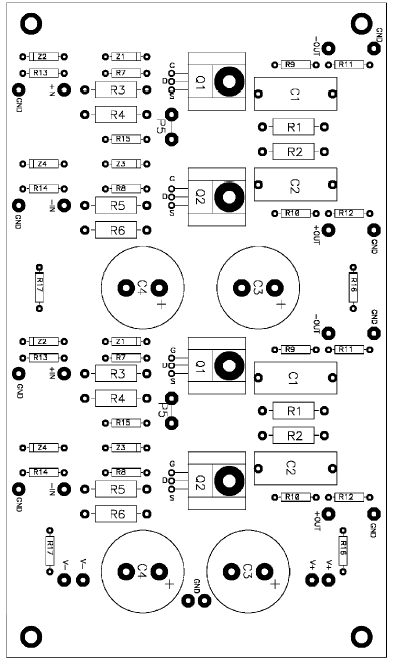 Components from Figure 3, the main circuit, are numbered from 1 to 99, and represent one channel only. Components from Figure 2, the power supply, are numbered from 100 to 199. 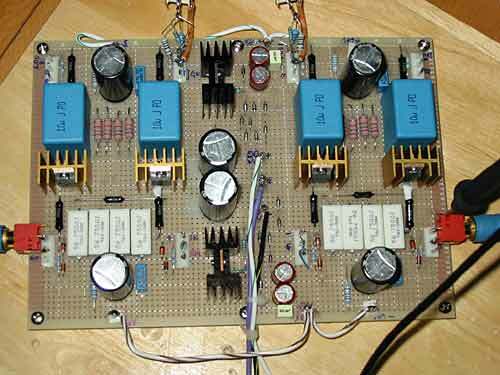 You can use the power supply board to power both channels, or you can use two power supply boards, one for each channel. You will note on the PC board layouts that two separate sets of input power connections, one for each channel, are on the main PC board to facilitate use of one or two power supplies. With the exception of the power transformer and the PC board, the components used in this project are available from Digikey (800) 344 4539, and I have included the appropriate Digikey part numbers for parts. Digikey handles the Yageo metal film resistors, I used Dale RN55D types. In general, a wide variety of substitute parts will be acceptable so long as they have the appropriate wattage and voltage ratings. 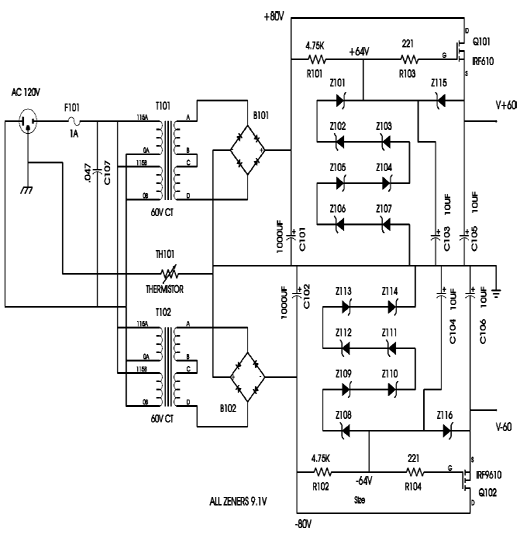 The MOSFETs used are fairly generic N channel devices in TO-220 degrade the quality. Substitute capacitors should have a 100+ volt rating. Many do-it-yourselfers have called me up and explained the wonders of various better parts, capacitors, resistors, wires, and diodes, that I could have specified that would improve a project. Some of you have been kind enough to send samples, which I much appreciate. Oddly, nobody sends me better transistors, and considering that gain devices account for most of the distortion, this is what I would really prefer. As a rule, I like to leave the more exotic parts out of these designs, and I have several reasons. First, I want to make this as simple and inexpensive as possible for most of you. Second, exotic parts are not the particular point that I am trying to emphasize in these projects; rather it is the quality that can be achieved with very simple approaches. Most important, I have saved these embellishments for you to perform independently. All the resistors in the project are ¼ watt 1% metal film types. My personal preference is Dale, but there are many good, possibly better types. 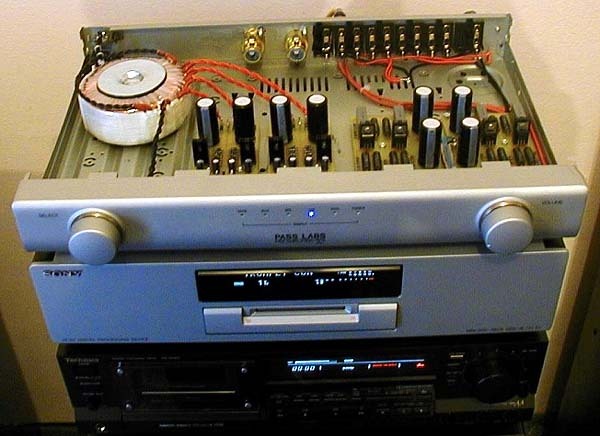 If you decide to go crazy and use Vishay or other exotic parts, the circuit might sound better; it is very unlikely to sound worse, and no matter what you do, the result will still probably be much cheaper than buying a readymade preamp. 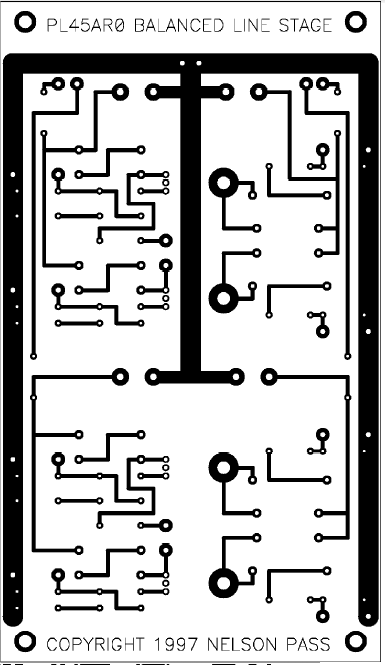 The main PC board shows jumper wires where the pads are designated for P5. Naturally if you use P5, you will replace the jumpers with wires leading to P5. 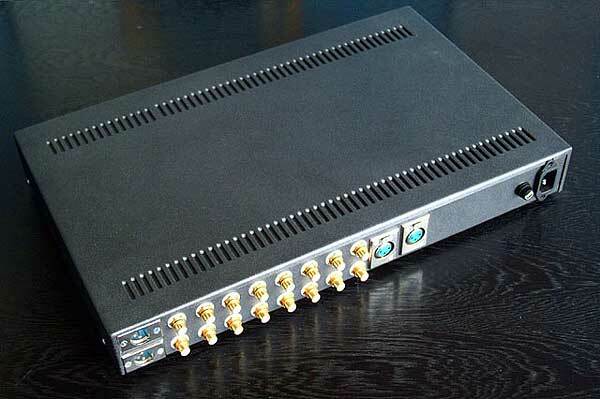 There are two sets of power supply connections, one for each channel, and this allows the use of one supply for both channels, or two separate supplies, one for each channel. In any case, you will be using separate wires to bring the supply voltages into the main board. introduce distortion, although I have to say that I have not measured any substantial distortion, nor have I been able to identify it subjectively. Bad Zener diodes will definitely create distortion, however, and this effect is more common than you would think. Speaking of input and output connections, I have not specified connector types for this project. Usually for this sort of project I use both XLR and RCA connectors on both the inputs and outputs. The inputs are female XLR with pin 2 = plus, 3 = minus, and 1 = ground. At the output it is a male XLR connector. 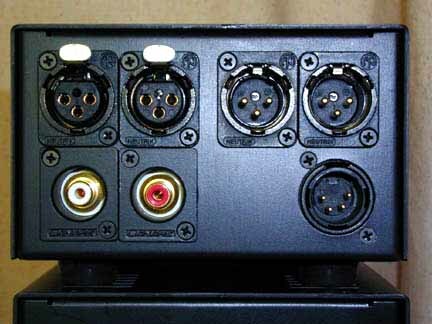 In parallel with the XLR connectors are 2 RCA connectors, one for each polarity, with XLR pin 2 connected to the "live" of the positive RCA and pin and XLR pin 3 connected to the "live" of the negative RCA. XLR pin 1 is attached to the grounds of both RCA connectors. These grounds are isolated from chassis ground. The case of the XLR connector, if metal, and shield are attached to chassis ground. 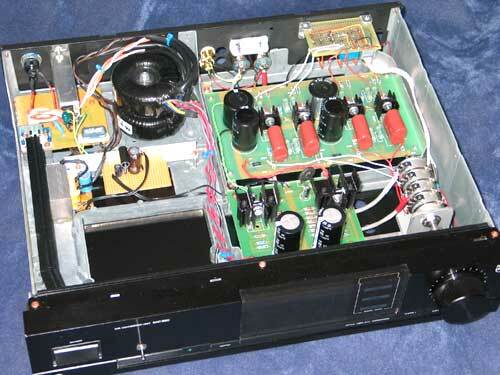 The power transformers used here are toroidal types having dual primary and dual secondary windings. The schematic shows secondary output wires A, B, C, D for each transformer which will attach to the ABCD designations on the power supply board. The colors coming out of the Avel D4007 are: A = Black, B = Red, C = Orange and D = Yellow. It does not matter which transformer goes to which set of connections, as they are identical. You will note that B and C wires are simply tied together (on the PC board) for each transformer and do not connect to anything else. The wiring for the primary AC side of the transformers is not provided on the PC board, and must be accomplished point-to-point. I strongly suggest that you use standard safety rated AC inlet connectors and fuse holders. volts. The Gates of Q1 and Q2 should be at ground. The Source pins of Q1 and Q2 should be about -3.5 volts or so. If you get these voltages, everything should be just fine. If you have elected not to use input protection Zener diodes Z1-4, then you will want to be quite careful when you plug sources into the inputs. Generally this means touching the ground of the interconnect cable to the ground of the female connector or to the chassis before inserting the plug. The input Gates of the MOSFETs can take 20 volt peaks. I have seen them withstand 80 volt transients, but not reliably. If you don't use the Zener diodes, but do use P1 and P2, then you can always turn the potentiometers to 0 (counter clockwise) during connection. Also note that if you do not use Zener diodes for input protection, you will not need R18 and R19, and they may be replaced by wire. Their function is to ensure stability for the circuit driving the input, since directly looking at a Zener diode can drive some circuits into oscillation. This is also why we use R7 and R8, and R9 and R10. 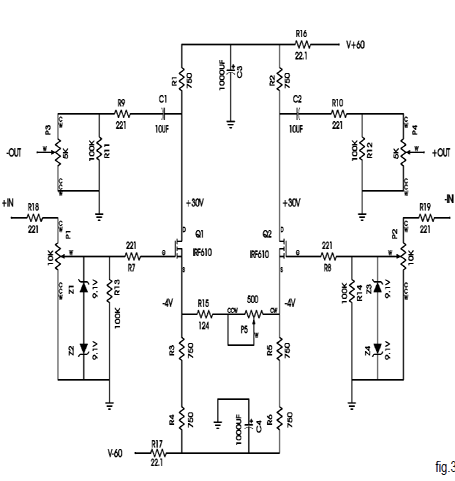 If you blow out a MOSFET, nine times out of ten it will be excess Gate- Source voltage. 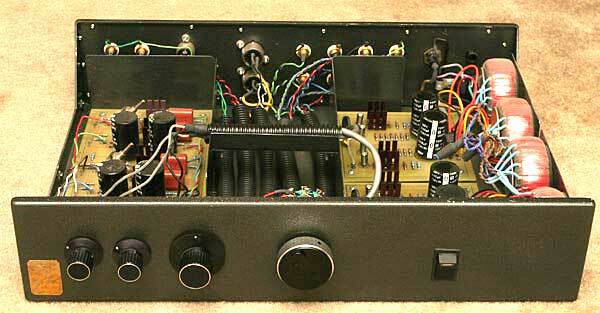 Speaking of transients, I have not provided for turn-on transient suppression at the output of the preamp circuit. As with the Bride of Zen, to avoid potential damage to a loudspeaker, you should ensure that the power amplifier is turned off when the preamp is powered up, or if you have chosen to use P3 and P4, you can reduce the output to 0. The output transient is balanced, by the way, so that it is much lower in value when evaluated differentially. A turn-on/off suppression relay would be a nice add-on project. 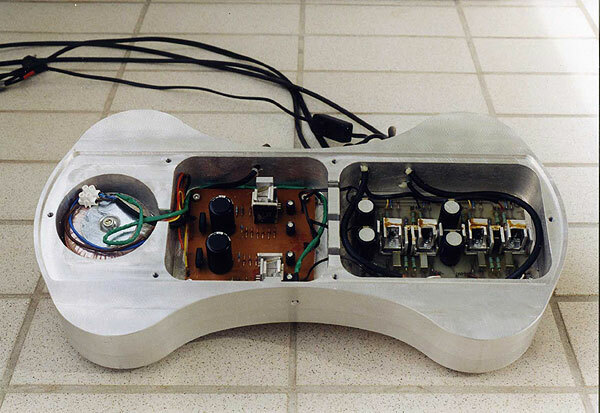 I invite interested parties to send their design to Audio Electronics magazine. If you elect to use P1-5 to adjust the parameters of the circuit, you can gain quite a bit of flexibility in its use. 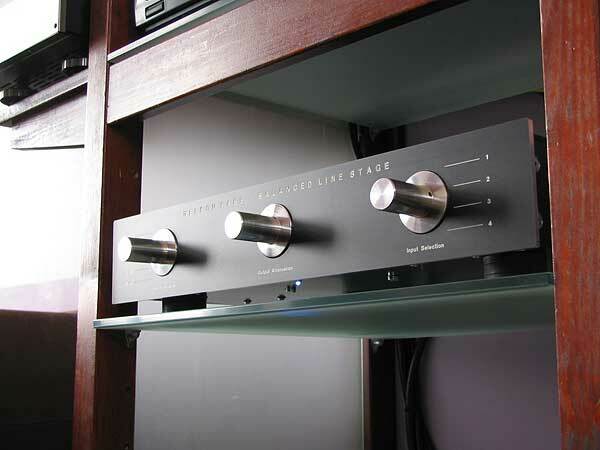 In general, the best performance occurs with the higher value of P5, giving 10 dB gain instead of 20 dB. If you don't need the gain, use 10 dB. Adjusting the input signal level using P1 and P2 will allow you to optimize the operating point against the signal source level. The best performance occurs at approximately 1 or 2 volts output of the circuit (assuming P3 and P4 are turned up all the way). If you are running 10 dB of gain, this means an input level of .3 to .6 volts, and if your source has much higher output, you can turn down P1 and P2 so as to set the input level to this region. Once you have obtained the optimal gain and input level, adjusting the output level with P3 and P4 will give you an effective volume control which attenuates circuit noise as well as level. Of course you can use any of these pots as volume controls as you like. Keep in mind that the common mode rejection figures depend of the matching of the values of P1 and 2 and separately P3 and P4. If you are particularly concerned about this figure (and I am not) you might consider using a precision dual pot for these. voltages. The distortion climbs smoothly with the output voltage, and clipping is graceful. 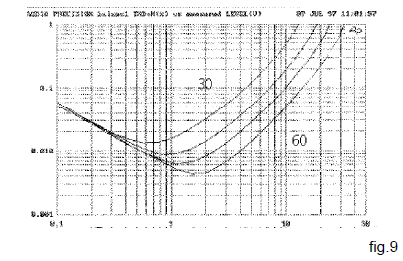 Figure 10 shows the performance with R15 at 430 ohms, for a gain of 10 dB. The distortion is lower by a factor of about 10 dB (no surprise), and the output noise is reduced by the same amount, reflecting the same input noise. Figure 11 shows the THD & noise, again for four different rail voltages. The output is at 2 volts and is plotted versus frequency. 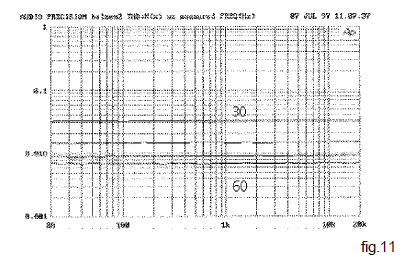 The figure is the same from 20 Hz to 20 KHz. 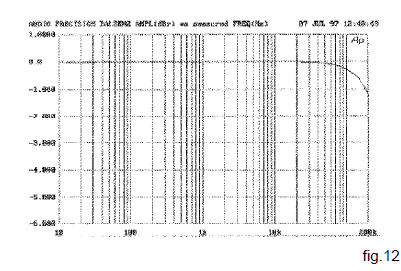 Figure 12 shows the frequency response, measuring -1 dB at 200 KHz at the top end. The graph does not show the low frequency rolloff, which would be worst case -3 dB at 4 Hz for a 10 Kohm load with a 5K value for P3 and P4. 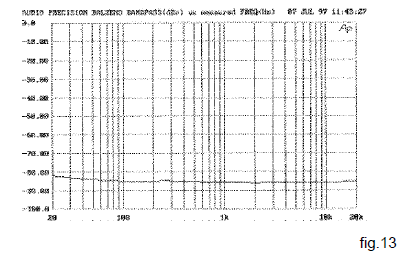 Without P4 and P5 and with a 10 Kohm load, the rolloff is about 1.5 Hz. 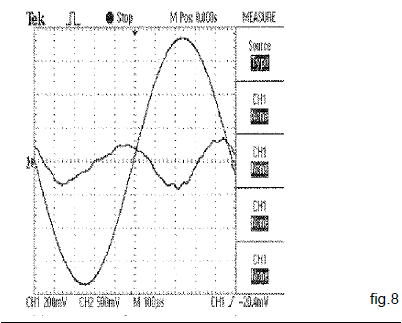 one polarity of the output signal, you will find the rejection is only about a factor of 10 (-20 dB). Obviously this isn't nearly as good, but in point of fact it still represents a factor of 10 better than an unbalanced circuit, and usually this is plenty. I have read assertions that 60 dB CMRR figures are the minimum acceptable, but no good reason to why this figure is essential. In my book, any reduction of noise picked up is a plus. In actual practice with real systems, I have noticed that there is usually about a 20 dB difference in background noise between balanced and unbalanced systems, and a circuit with 20 dB rejection will preserve this difference fairly well. As an alternative to having to use the balanced output only, you can replace the resistors R3, R4 and R5, R6 with 40 mA active constant current sources. 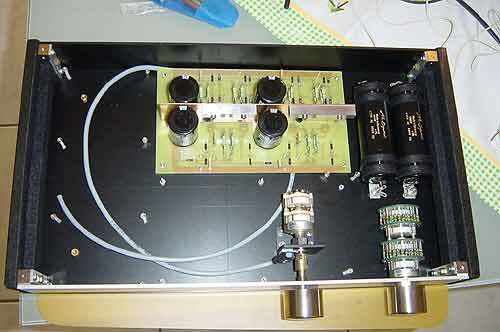 This will restore the 80 dB CMRR figure for unbalanced output. This is a particularly good sounding circuit, and I think it sounds significantly better than the Bride of Zen, although I would be hard pressed to explain why. It seems more liquid and has greater depth, while BOZ is a bit dry by comparison. It might be distortion cancellation in the balanced circuit, or it might be the greater dynamic range afforded by quieter balanced operation and higher output swing. As always, I encourage you to build it and decide for yourself. Comments and questions are welcomed. The best way to reach me is by e-mail through the Pass Labs website, www.passlabs.com, or more directly: nelson@ passlabs.com. This method gets a reliable, if short, response. Snail mail is Pass Labs, PO Box 219, Foresthill CA 95631. 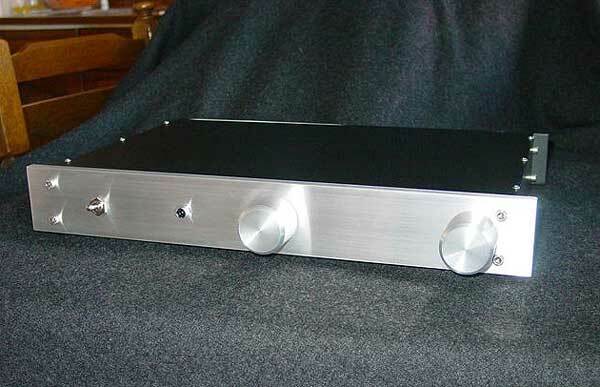 This pretty well finishes the preamp offerings in the Zen series. Next: the penultimate Zen amp.